The El-Hibri Foundation was a proud sponsor of the Religion Communicator Council's National Convention held April 9-11th in Alexandria, VA. The 2015 Convention: Faith-based Communications: Connecting Locally, Reaching Globally was closely covered via social media using "#2015RCC" by attendees to highlight speakers and events throughout the convention. The convention featured speakers such as Joshua DuBois, Dr. Charles Haynes, Dr. Stephen Prothero, Melissa Rogers, Michelle Boorstein, Wajahat Ali, Eric Marrapodi, Adelle Banks, Shaun Casey, Dr. Karin Achtelstetter and more. 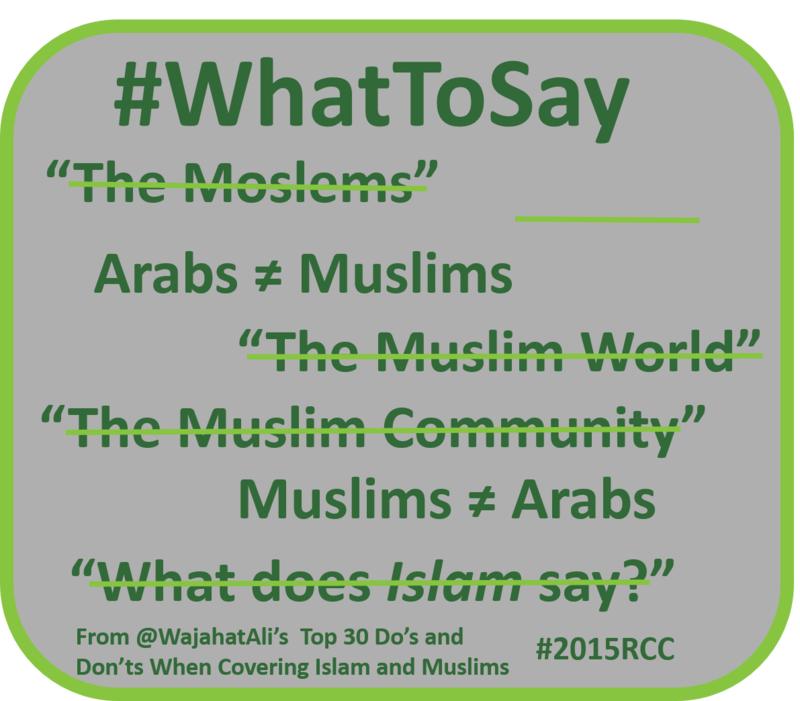 For the complete list of Wajahat Ali's Top 30 Do’s and Don'ts for Covering Muslims and Islam in the Media, please follow this link. The El-Hibri Foundation was happy to open it's doors to attendees of the conference for a networking reception on April 9th, 2015.